If you are looking best live streaming and broadcasting apps for iOS devices, here you can see 10 best live streaming and broadcasting apps for iPhone and other iOS devices.It Live streaming apps are one of the most effective way to get connected with your viewers and increase your fan following become popular on the Internet. Although, there are many popular and less popular live streaming apps are available for iPhones and iPads, but we've listed only the 10 best and most popular cross-platform live streaming apps for your iOS devices. 1. 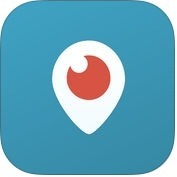 Periscope - Live Video Streaming Around the World ( iPhone + iPad + iMessage ) :- With the help of Periscope app, you can see live videos, you can see where news is breaking, visit a new place, or meet people and share interests all in real time. 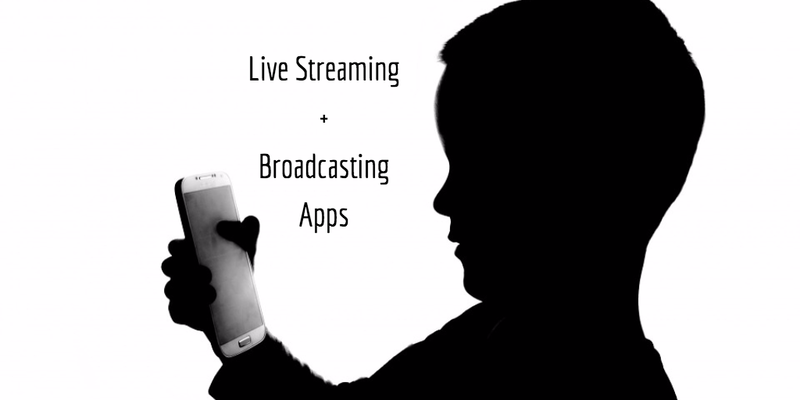 This live streaming and broadcasting app lets you broadcast and explore the world through live video. Periscope has several effective and user-friendly features such as broadcast live video and interact with people through hearts & comments, discover famous live video streams from all around the world & search for broadcasts through location or topic and, you can also instantly share your live videos via Facebook, Twitter and other networks. 2. 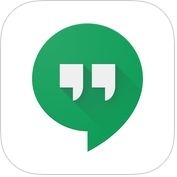 Hangouts ( iPhone + iPad ) :- Hangouts is one of best live streaming and broadcasting apps for iPhone and iPad. With the help of this live streaming and broadcasting app, you can send messages to your friends, you can chat through video or voice call, you can conversation with one person or a group with beautiful photos, stickers, animated GIFs, and emoji. Hangouts has lots of amazing and unique features such as easily share your present location to say conversation with maps integration, call any phone number in the world, keep in touch with friends across all your devices, turn any conversation into a free group video call with up to 10 friends and, you can also message friends anytime even if they're offline. 3. 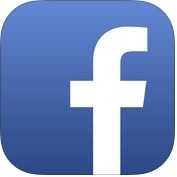 Facebook ( iPhone + iPad ) :- Facebook app come with built-in live streaming feature that allows you to broadcast yourself with your friends or publicly. This is one of the most widely used live streaming services in the world, because Facebook has more than a billion users on the Internet. Apart from live streaming features, it also keeps you up with friends easily, anywhere and anytime. With the help of Facebook, you can see what friends are up to, you can share updates, videos & photos, you can watch and interact with live video, you can play games and use your favorite apps, you can buy and sell items & services and, you can also get notified when friends like and comment on your posts. 4. 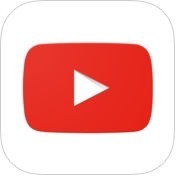 YouTube - Watch Videos, Music, and Live Streams ( iPhone + iPad ) :- If you want to see what the world is watching in news, music, gaming, entertainment and more, you can use YouTube on your iPhone and iPad. With the help of live streaming feature of YouTube app, you can easily broadcast yourself on the most popular video sharing website. Apart from live streaming features, you can also subscribe to channels, share with friends, edit and upload videos, and watch on any device, you can browse personal recommendations on the home tab, you can see the latest from the creators you follow on the subscriptions tab and, you can also create, edit, add filters or music and upload your own videos all inside the app. 5. 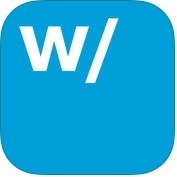 Hang w/ (iPhone ) :- Hang w/ is one of the best and newest featured live streaming and broadcasting apps for iPhone. With the help of Hang w/ app, you can show your favorite live broadcasters, you can create a cooking show, you can zoom in and out while broadcasting, you can share to YouTube and, you can also see preview the live broadcast without turning in on your iPhone. Hang w/ lets you create a "digital ticket", wherein you set the price and time. 6. Broadcast Me ( iPhone + iPad ) :- With the help of Broadcast Me app, you can broadcast to live on social networks like Facebook, YouTube, Twitter and other. It explores the possibilities of integrating live video social network platforms with your apps. It is also fully dedicated to pushing the limits of video streaming or just playing with video tech and it helps speed up research and validation. 7. 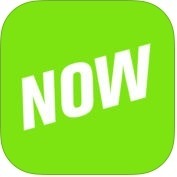 YouNow: Live Stream Video Chat ( iPhone + iPad ) :- If you want to chat with live broadcasters and connect with your audience, you can use YouNow app on your iPhone and iPad. This live streaming and broadcasting app has lots of unique features such as browse live broadcasts and catch up on what you missed in the moments feed, go live and hang out with your community by tapping "Go Live" button on your profile, chat with broadcasters, buy bars to send gifts and, much more. 8. 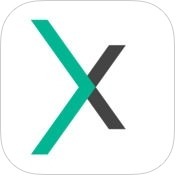 Livestream ( iPhone + iPad ) :- Livestream explores events millions of broadcasters around the world and stream your own content live. It broadcast live from your iPhone and iPad to viewers watching on Facebook, Twitter and other social networks and, you can engage with viewers through the built-in chat. With the help of this live streaming and broadcasting app, you can enjoy live events on your big screen with chromecast, or Apple TV. 9. 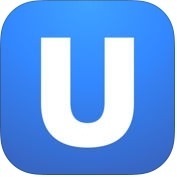 Ustream ( iPhone + iPad ) :- Do you want to stream live powerful & interactive videos and watch live video on your iPhone and iPad anytime, anywhere? If yes, you can use Ustream app. This live steaming app has lots of amazing and useful features such as watch live and recent videos & discover upcoming events, chat with your live friends, broadcast live to any number of viewers using the camera of your device and, you can also schedule and manage upcoming events on your Ustream Channels. 10. 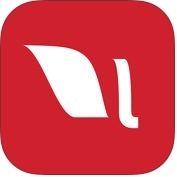 Alively - Video Sharing With Friends ( iPhone + iPad + iMessage ) :- If you want to share your daily moments with your friends via live or recorded videos easily and quickly, you can use Alively app on your iPhone, iPad and other iOS devices. It offers you to record high quality video of any length regardless of your WiFi connection. 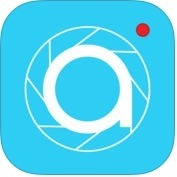 Alively has several unique features such as share videos live or later, capture high quality video and see live interactions, send with SMS, watch live or later and you can also upload videos from your camera roll and save space on your iOS devices.